These are last weeks notes, due to technical issues with the website! Pat, Daniel, Nanno and Andy took on the damp conditions last Saturday morning. Leaving Nenagh and heading in towards Limerick, the group turned left for Newport at Daly’s Cross, and then before Newport the group turned right for Murroe and on to Cappamore and Doon. A halfway stop for a café con leche at this point was very welcome. A left at Doon brought the group up over the hill and onto the Newport to Thurles road where they turned right, before taking the left for Dolla and Silvermines, and back onto the main road to Nenagh close to the four sisters. The group covered about 120km, and after the early fog cleared it wasn’t a bad morning at all for a good hard spin. The orange/red group of about 11 club members departed Moynan’s at 9am and all were looking forward to a good paced spin. The group first headed to Dolla, and then took a left towards Toomevara and on to the Obama Plaza for refreshment. From there it was on to Dunkerrin, Shinrone and Cloughjordan, and back to Nenagh. Well done to everyone who participated. We’ll be holding the second club open night on Monday 4th of February in Moynan’s Bike Shop from 6pm. This will allow existing members to renew their membership, and we extend a warm welcome to anyone who would like to become a member of our club. 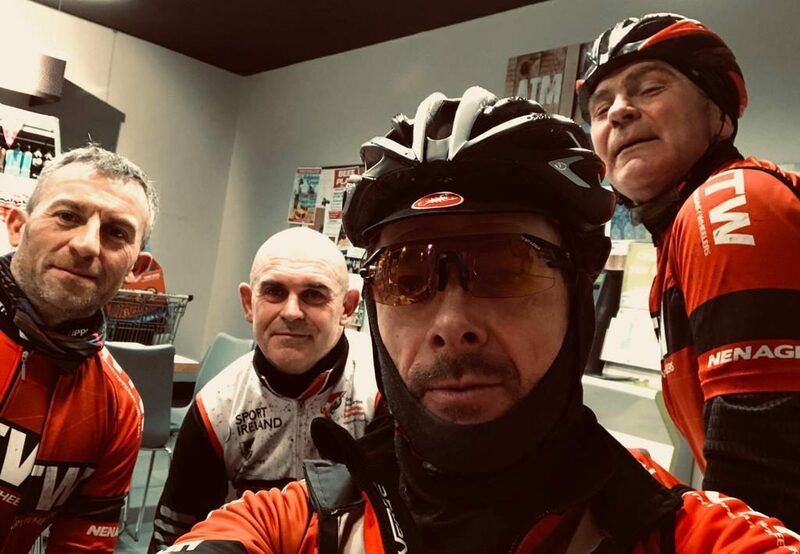 On the night, prospective new members will be able to meet with club members and members of the committee, ask any questions you might have about cycling or our club, and get advice on the great selection of bikes and equipment on display. For any new members that join the club there will be no membership fee for their first year, but you will need to purchase insurance with Cycling Ireland. Club Membership fee: Adults €20 / Family €30. Details of Cycling Ireland’s Membership Fees is available on the Cycling Ireland website.